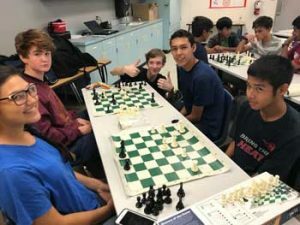 Madison Highland Prep believes that extra-curricular activities are important for developing the individual interests of students and the special talents they wish to pursue. MHP offers a variety of extra-curricular activities focused on leadership, service and community, and the performing arts. Quitting is contrary to the MHP extra-curricular philosophy. We believe student’s have a responsibility to honor their commitments to themselves, their classmates, and their school. Students who quit an extra-curricular activity after the second week of participation will be prohibited from all new extra-curricular activities until the next semester. Student organizations and clubs meet after school from 2:30 p.m. to 3:30 p.m. on pre determined meeting days and/or dates. Registration for organizations and clubs will take place at the beginning of each semester. All student organizations and clubs are required to be faculty sponsored.